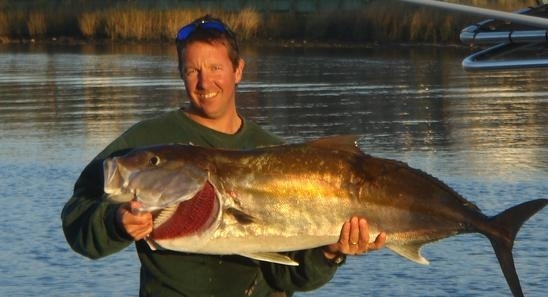 While fishing in the North Myrtle Beach / Little River inlet we will be concentrating on going for Red Drum, Black Drum, Flounder, Spotted Sea Trout, Stingray and Shark. There are a variety of other fish that take the bait such as Sea Bass, Blue Fish, Toad Fish, Ribbon Fish, Pin Fish and more. 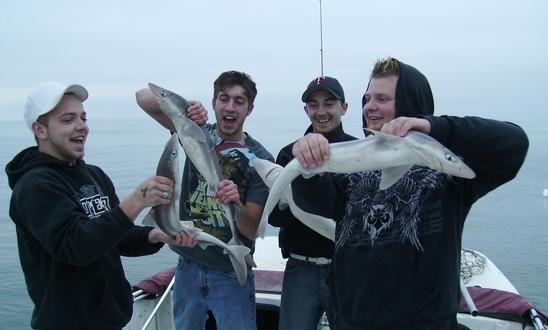 Reserve your North Myrtle Beach fishing charter today click here. Fishing the near shore reef the efforts will be more on hooking Flounder, Sea Bass and Spanish Mackerel. There are a variety of other fish that will take the bait at the reefs as well. Chumming for shark behind one of the trawling shrimp boats can lead to a great battle with some of the Myrtle Beach areas bigger predators. There is a very good chance we will get up close to some dolphin feeding behind the shrimpers as well.